"I had made up my mind to quit worrying. Los Angeles was the Land of the Brighter Day, something good was bound to turn up." These last two lines sum up the motivation that lies with the numerous characters that musician Ry Cooder offers up in his new collection of short stories. While the stories are nominally linked, the variety is enormous: mariachi players, park prophets, backalley dentists, tailors, and disc jockeys are all introduced in their native milieu. Set in the first half of the twentieth century, these stories are based on the inner life of the inner city. This is not postcard or travel agency Los Angeles; there is no glamour or celebrities to dress it up. 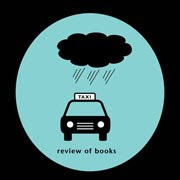 Even the weather doesn't seem to cooperate with stereotype: fog and rain are as frequent as bar brawls. The characters are the faceless many that work off the books, just trying to get by while the city appears as a predatory character, breathing and pulsing, foiling any attempts at the good life. 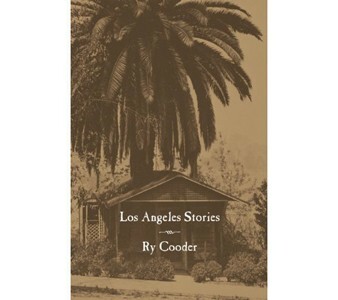 The collection is also an excellent geography text to significant Los Angeles locations--Griffith Park, Chinatown, Little Tokyo, Union Station, Bunker Hill, and Hollenbeck Park all serve as backdrops, and Cooder seems to know the streets and back alleys very well. Cocktail bars and bowling alleys are among the seedy gathering places of the working class and small time criminals that Cooder writes about and who occasionally cross tracks with each other. My favorite was "Who do you know that I don't?" set in 1949, wherein a tailor to the mariachi clientele attempts to solve the murder of a popular jazz musician, Johnny Mumford. Cooder creates a world of layaway payments, shiny and finned cars, and musicians desperate to wear a good suit but not eager to pay. Memorably, the tailor even makes one suit to be shared by two musicians who can't afford their own, later assisting them to escape the cops while he helps search for links to the murder. A prize collection of 78 records becomes a significant clue. "Once they see a pattern, they think they know it all, and they think they got you. That's not the way life is. Take it from me, life is random and inscrutable, like the City Directory." The stories are well-plotted and heavily detailed, and the characters feel real. Cooder develops each protagonist well, and creates their world for the reader in inscrutable detail. In fact, that may be one of my only concerns about the collection: at times I felt like there was too much name-dropping and references to streets and neighborhoods and pop culture of the period. Sometimes, the many facts slowed down and derailed the narrative from its pace. I think the same effect could have been achieved without so many points of reference and still have remained realistic. In comparison to the series by Akashic Press of Los Angeles Noir, I liked this title better. LA Noir by Akashic, with its various contributors, seems to have more of a pervy element to it, shock value placed over storyline, that made me end up giving it up. Special thanks to Alyson of City Lights for the Advance Review Copy.